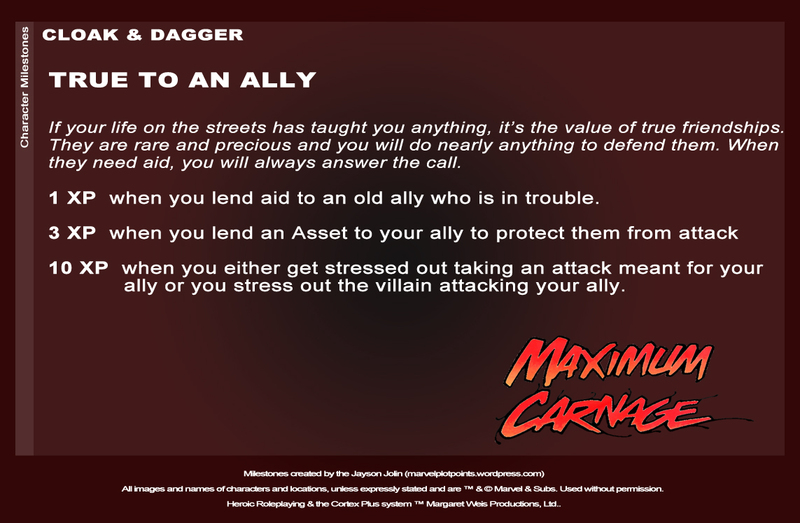 Well, it took a little longer than I wanted, but here are some new Distinctions and Milestones for the canon characters in Maximum Carnage. 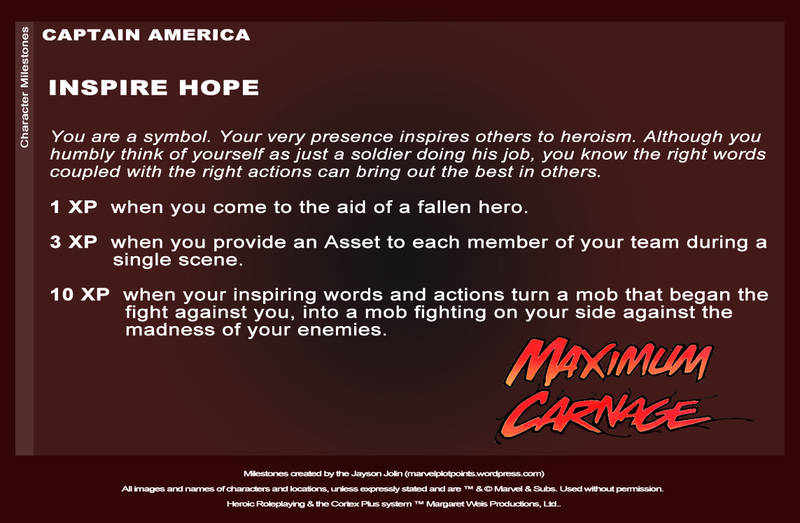 These are for use with official characters from MWP, but we also threw in an extra Milestone for Firestar. 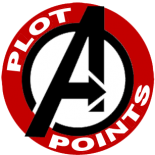 That Datafile was designed by Felipe for Plot Points a few months back. 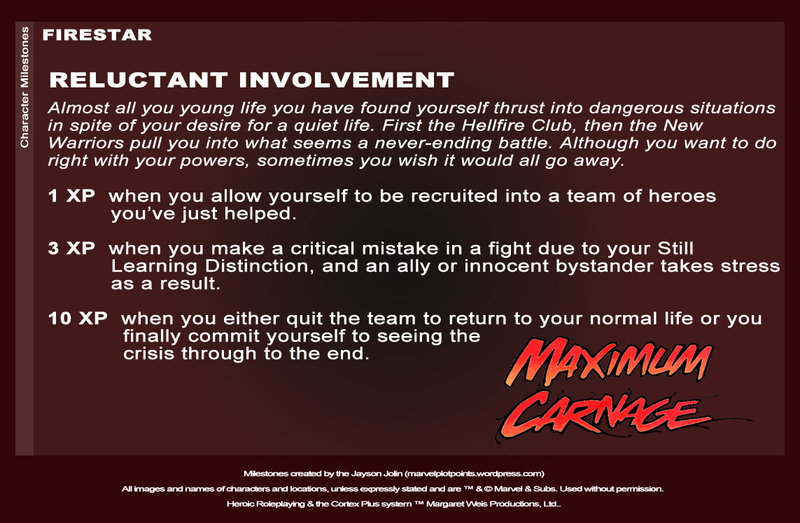 You can use these new Distinctions to replace one of the characters existing Distinctions. The Milestones are available as one of the two Milestones you can choose at the start of the Event. 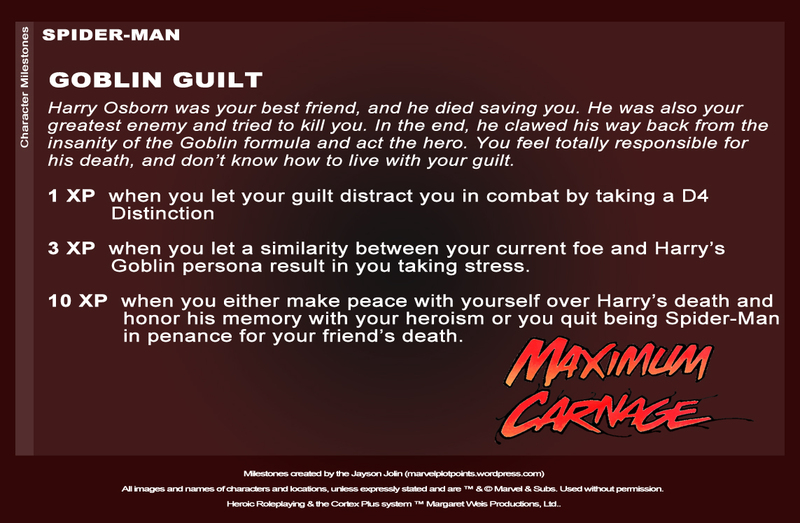 This entry was posted on February 19, 2013 by Andrew Gatlin in Maximum Carnage, Milestones.